Thinking of Relocating To Los Angeles? 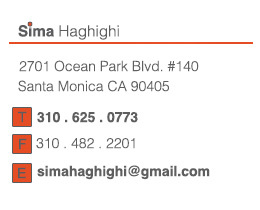 Sima also specializes in helping individuals, couples, and families in relocating to the Los Angeles area. We will help you identify and focus your search to find you the perfect home all while you are living in your current location. Provides detailed information on public and private schools, from kindergarten through twelfth grade. The information reported in these reports addresses topics that are frequently used by parents in determining the appropriateness and/or candidacy for a given school. Available for US schools only. Provides you with tons up-to-date detailed information on local communities and nearby schools. Provides a detailed look at the people, places, and conditions in two areas. Includes information on demographics, finances and economics, real estate, and other factors which may impact your quality of life. Available for US addresses only. Our city profile report gives you a snapshot of demographics, finances, economics and other quality-of-life factors so you can find a place where you’ll feel at home. Available for US addresses only. Calculates the equivalent buying power for two cities. Available for US addresses only. 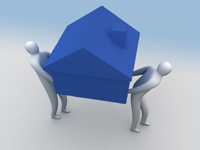 Provides instant price quotes from professional Full-Service, Self-Service, Auto, Office, Specialty, and International Movers. Available for US addresses only. Helps you find a nearby storage facility, request a free quote, and reserve a storage unit online.